Another jam packed weekend is in the books, and what a wonderful one it was! So let’s just jump right in. Hello Mockingjay! On Friday, Bethany, her boyfriend Joey, Sarah, Wesley, and I all went to see the new Hunger Games movie, Mockingjay. One thing you must know, is that I am very picky when it comes to books being made into movies. Well, I have been a HUGE Hunger Games fan from the very beginning and my word did they do a fantastic job! I was honestly blown away and I can’t wait to see it again. This was our attempt at an excited face. For the first time in weeks I was able to sleep in on Saturday, and it was glorious. I woke up around 10 and then had a Netflix binge session. I’m going to do you all a favor and let you in on the secret of the TV show “The 100." This show keeps you on your toes the WHOLE time. It’s super good! Once rolling out of bed and getting ready, I headed out the door to pick up my sister Katie, from a friend’s house. We both got a Massive sweet craving, so we stopped by BK for an Oreo milk shake and a Hershey Pie. Hello yummy goodness! I found this absolutely adorable owl shirt from Cato's for only $20 bucks! can you say steel? Saturday evening I took Paige and Cory’s Christmas pictures. Let me be the first to say, these pictures turned out phenomenal! Their love simply radiates through every picture, making each one perfect. I had such a good time taking their pictures and I can’t wait to do it again! This one was hands down one of my favorites! I'll do a whole blog post with the edited ones on Thursday. Once we were finished with pictures, we stopped in to say hello to Cory’s granny, where she gave us some delicious banana bread. After a quick little visit, we took the dogs back home and then headed to Los Amigos for some dinner. When we got back to Paige and Cory’s, Paige announced that she wanted to finish putting up Christmas decorations. I could not have been happier! I am so glad Paige shares my obsession for Christmas. #obsessivechristmasdisorder.So Cory put on some old school Christmas music and we all three had a holy jolly time decorating the house. 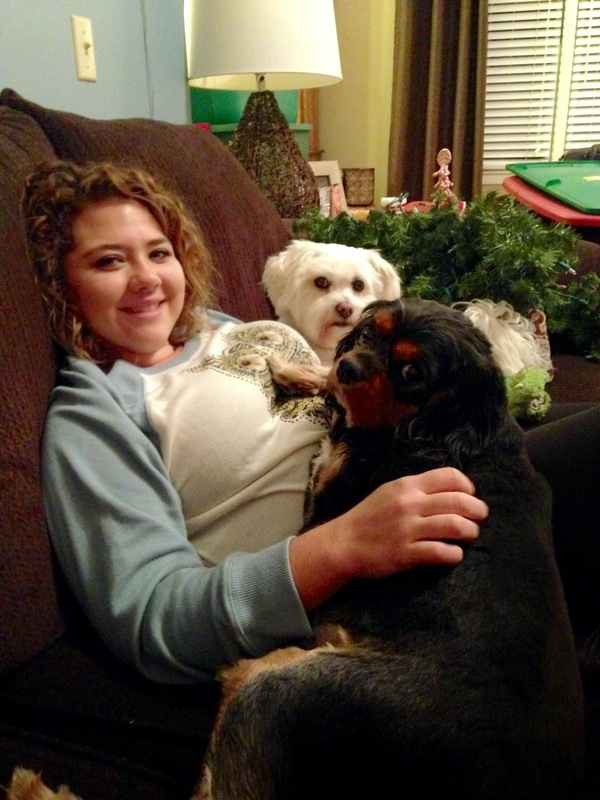 The puppies were over decorating and wanted some Auntie snuggle time! Sunday, our church had a Thanksgiving dinner. My, oh my, was that food good! It has made me so excited for Thanksgiving. Speaking of Thanksgiving, can you guys seriously believe that it’s next week?? Like, where in the world has November gone? Anyways, back to Sunday. After church, I needed to run to Ulta to return some gel I had purchased for my curly crazy mess of hair. While I was there, I noticed my eyebrows were looking just like cookie monsters, so they squeezed me in with Ms. Barbie. This woman is a straight up genius with some wax and wax strips. Seriously ladies, make an appointment with her. It will change your life. I think someone was a little sleepy from her busy weekend. My Nana arrived in town Thursday; so, I decided to spend my evening with her.We stayed up late talking, and watching movies together, which just so happens to be one of my favorite ways to end a great weekend. How was your weekend? Do you have any special plans for Thanksgiving? I hope you all have an amazing Monday! I am super picky with books into movies as well and I think they've done a great job so far, though I haven't seen the new one yet! 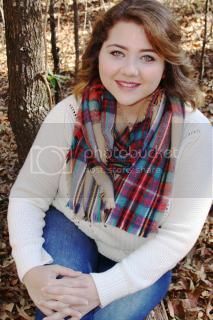 YIPEE - love the preview of Paige's pictures!! So cute!!! You got me excited to see Mockingjay!! !